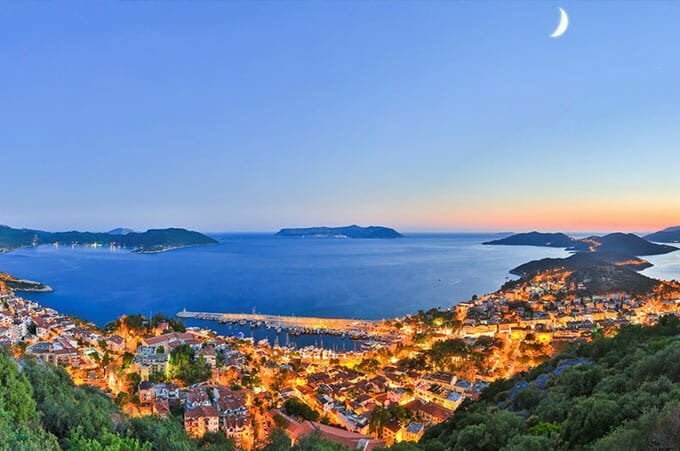 FidoRento » Why a holiday in Kas is different? But if you come to Kas for the first time on holidays, you will think a lot during this long trip. Your inner voice never stops, “Was it the right choice?”, “Will my holiday be a disaster? “, “But everybody was too confident while advising a holiday in Kas!” … etc. rhythm of your heart changes. Unlike the Kasmaniacs, this long way brings your mind to your senses and makes your heart in your mouth. It’s just feels like your mind and your soul trapped inside your body. But it does not last long. As you approach to Kas, you go out of your mind and the soul cannot fit in your body anymore. When you see that unique nature and Mediterranean navy blue, you are as light as a bird. You start feeling yourself different. Your heart moves and beats faster. As if you had wings, you could have been flying to Kas and complete this journey … because Kas’s attraction captures you and draws you in. When you Take a deep breath, you’ll get stuck in that air and you’ll be the change and can never be the same you again. You discover yourself in many means during a Kas holiday. Every time you come to Kas, it’s another adventure. In one holiday you lose yourself and you find in another holiday. It’s a sweet peace, if you’re having your holiday in Kas. Nobody is a stranger in Kas and nobody checks up on you during your holiday in Kas. If you are, then it is. Everyone is friendly, you feel everybody like your old friends during the holidays. It does not make any sense but, you feel a glow of love and enthusiasm. You want to stay happy too when the holiday is over. 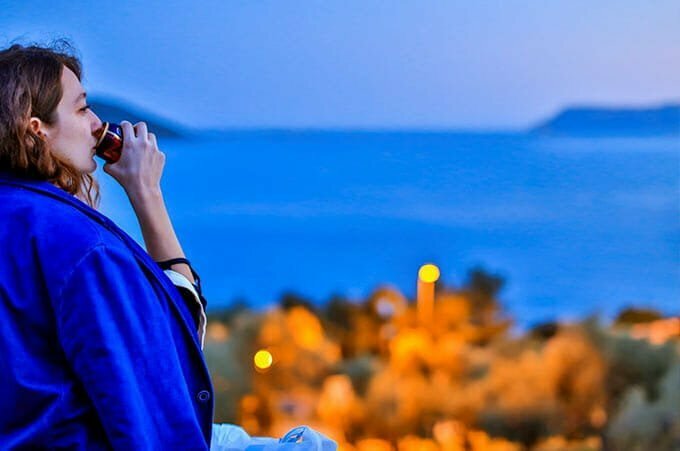 A holiday in Kas unites you with your inner self and it liberates you! Friendships established in Kas holidays are unique and special. Love is inevitable here. As Kas’s air move deeply to your blood cells you start having an uncontrollable mood as if you can fall in love instantly. You might fall in love with a sunset, a song, a plant, a garden, a girl, a pizza or a fish. You do not even think that you’re getting crazy! Everything is so beautiful, so natural that it is as simple and as it should be … All these drives you mad. You save unforgettable memories during your holiday. A holiday in Kas revives your essence and puts you into motion. Are you ready to fall in love on holiday? Wouldn’t you like to feel that magical, passionate thrill of love again? Tradesmen, locals, peasants, strangers, tourists, regiments, cats, dogs are all original in Kas. Unlike the holiday towns you’ve already been, dogs living on the streets of Kas are very happy. There is nothing or no one normal in Kas. You feel like living in a magical fairy tale during your holiday. Restaurants, cafes, beaches, shops, real estate offices, bars are always unique. There’s always an interesting story behind them. It’s as if a magic wand has shed the spirit of freedom in Kas. Even the flowers are in crazy colors. bougainvillea’s, sardines, fragrant jasmines, capers, citrus and olive trees confront you in unexpected places. Narrow streets and bazaars are always surprising. All Kaş people are always invited to the wedding ceremonies. Most of the beaches have refreshing cool water because of spring waters mixing in. It is one of the important centers of the world in terms of underwater diving. Kas brings you peace and joy together during your holiday. Kas is a very small and compact holiday town. You can go everywhere in Kas within 5-15 minutes. There are no shopping centers, no luxury chain stores or chain cafes here. You will often meet your friends with whom you become acquainted with during your holiday. It will be incredibly enjoyable to have such short-lived chats on street. After a while it seems and feels like you are always living here in Kas. You can have a long conversation with a local shop owner when you met on the beach, or you can face your dive instructor while dancing in a bar. There is no disco, no nightclub in Kas. Everything that exists in Kas is simple, special and adequate. There are no exaggerations, spectacles and most importantly stress in life of holiday makers in Kas. There is no need for plan, because everything is under and near your hand when you want it. If you decide to dive after lunch, you can just sail with one of the dive boats. If you decide to join the daily Kekova tour you can make a reservation on the way to the bar while eating your ice-cream. The holiday is easy in Kas. Wouldn’t it be nice to have an unplanned, smooth holiday? The hotels are mostly boutique, the pensions are cute in Kas. Daily rental apartments and villa options are rich. There are no giant holiday villages or hotel complexes in Kas. You concentrate and focus on your holiday. You will have plenty of time left for traveling and for exploring around during your holiday. Within 2-3 days you will be like Kas’s native. There will be no place left that you do not know and there will be no important news that you do not hear. You embrace this small, cute, originality for a short time on holiday. Everybody wants to hold on tightly to this dissimilar beauty. You prefer Kas to be yours only. 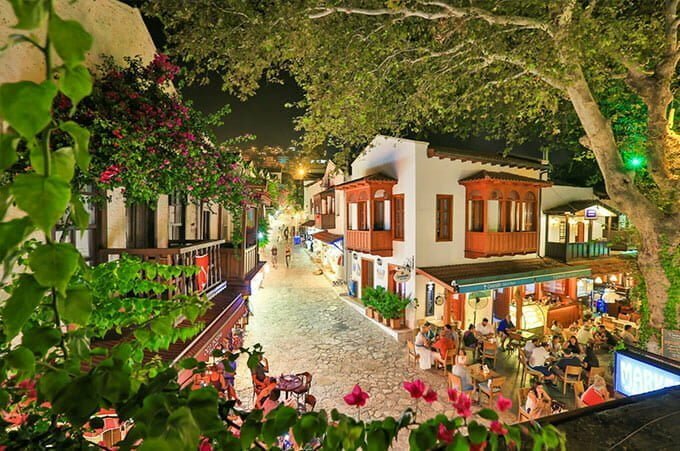 You feel like discovering every corner of Kas. You want to walk all the streets in the evening not to miss one single beautiful piece before your holiday ends. You go crazy for visiting each beach at least once before you leave. Every point you go in Kas now gives you a different pleasure on the last few days of your holidays. Sometimes you want to escape from the crowd and stay alone with Kas. You feel a glow of blues and sadness in the last days of your holiday in Kas. You feel like you could not get enough of a holiday in Kas. You can find yourself formulating how long that you can extend your holidays or soonest when you can come back. No one wants to leave Kas. Those who experience these feelings become Kasmaniac and continue to live the “Kas Mind” and “Kas Spirit” in the big cities where they must return. At every opportunity, even if it is just for a single night, even if it is winter, even if there is a storm, or even if it is impossible, they escape to Kas for sleeping in the bosom of the Mediterranean deep navy blue. Under normal conditions you do not want to share Kas with anyone because you feel it like yours. You only bring the most essentials and your most loved ones to Kas. After this time, the holiday itself becomes an excuse for you to visit Kas. Because the air of Kas is fantastical and you are aware of it! So, the holiday in Kas is “really” different! Especially is utterly different with FidoRento. Because we believe in heart that you should return home in happy and peaceful mood. Therefore, we accept your happiness and peacefulness in holiday, as our success criteria. Come on! For experiencing such a dissimilar and unique holiday, pack your goods now and head towards Kas. Please do not forget to choose one of our rental holiday villas or apartments and complete your booking for accommodation.